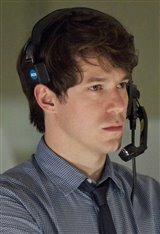 Actor, singer and songwriter John Gallagher Jr. was born into a family of folk musicians, and raised in Wilmington, Delaware, along with his two older sisters, including actress Jaime Gallagher. John inherited the musical gene at a very young age and translated this into theater, portraying Tom Sawyer at the Delaware Children's Theatre. He is also an avid songwriter and has played in several bands, most notably the rock 'n' roll group Old Springs Pike. The years 2002 and 2003 were a breakthrough for the young actor, with many guest-starring roles in such television shows as Law & Order, The West Wing, Ed and NYPD Blue. Also in 2003, he made his first feature film appearance in the Katie Holmes drama Pieces of April , as well as his first off-Broadway appearance at the Manhattan Theatre Club in the coming-of-age play Kimberly Akimbo. Next he landed his first Broadway role in the Pulitzer Prize-winning play Rabbit Hole. In 2006, he got the opportunity to once again utilize his musical talent in an Off-Broadway and Broadway production of the rock musical Spring Awakening, a role for which he won a Tony Award. This was also around the time he announced his departure from Old Springs Pike. John would go onto appear in many independent and mainstream films, including Whatever Works (2009), Jonah Hex (2010) and Short Term 12 (2013). In 2012, he landed a lead role on HBO's The Newsroom as James Harper, as well as a recurring role as Christopher Kitteridge in the multiple Emmy Award-winning miniseries Olive Kitteridge in 2014. Despite continuing success in film and television, theater remained a mainstay for John, starring in 2009's American Idiot, a musical based on the Green Day album of the same name and in 2011, earning a co-starring role in the Broadway production of the Royal Court Theatre's Jerusalem. In 2016, he starred in Eugene O'Neill's Long Day's Journey Into Night alongside Jessica Lange and Gabriel Byrne in spring of 2016. The multi-talented actor has also pursued a solo music career, often performing at the Rockwood Music Hall in New York City. In January 2016, he released his debut album, titled Six Day Hurricane. John's latest credits include the sci-fi horror flick 10 Cloverfield Lane (2016) opposite John Goodman and Mary Elizabeth Winstead, the thriller Hush (2016), the horror thriller The Belko Experiment (2017) and the action film Peppermint (2018), starring Jennifer Garner. John's first girlfriend was actress Aubrey Plaza, also a Delaware native, and with whom he did community theater as a teenager. He also dated actress Aubrey Dollar for three years, but they broke up in 2011.